In fact we've had other plans for Saturday. 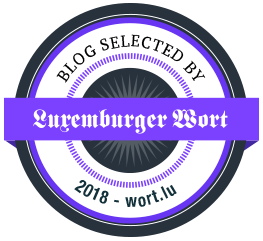 A long-yearned-for event was just around the corner when Carla and I noticed that we wouldn't belong there at all (something which is better to notice before than after an event...). So we spontaneously decided to spent some quality time together in Aachen. Oh and when I say "spontaneously" then I mean that I had exactly 10 minutes to get ready and look like I do in these pictures. 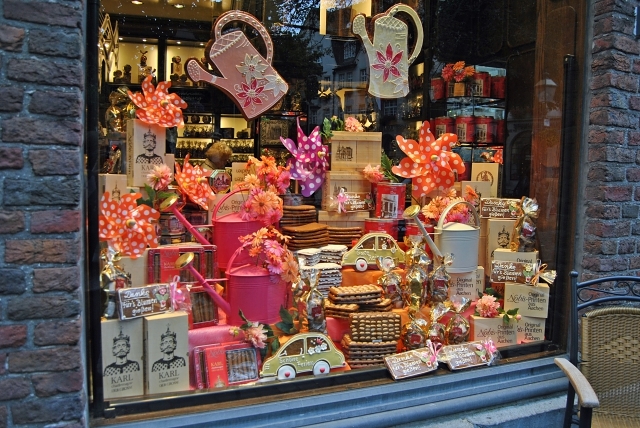 I already knew that I was going to like Aachen before we even entered the city: It is host of the most legendary Christmas fair in Germany, it is close to some of my favourite Belgian and Dutch cities and Carla had told me mouthwatering stories about a shop named Cuperella. Luckily I was immediately proven right. 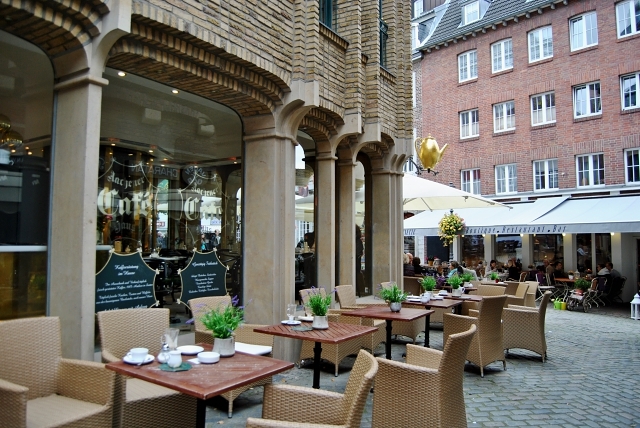 Aachen is one of these cute German towns with lots of culture and a persuasive gastronomy. 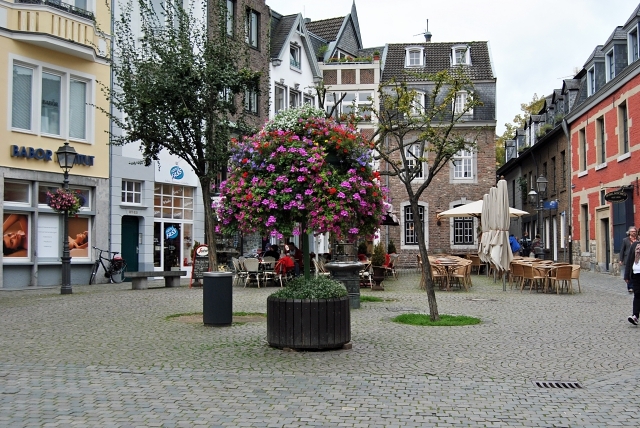 As you can see the city hosts many of these well-preserved historic buildings from various eras and together with the installed trees and flowers you get an overwhelming townscape. 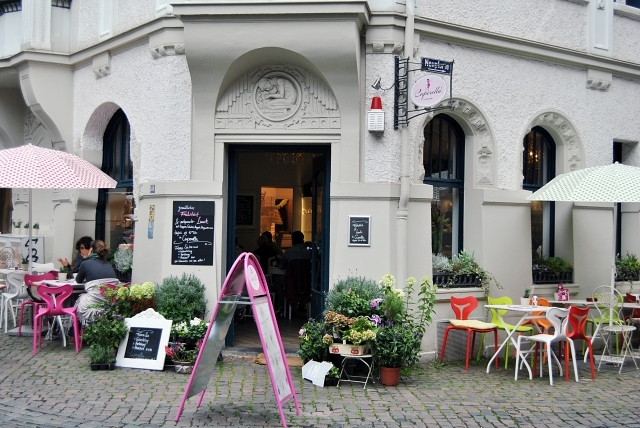 Even though we only spent two hours exploring the city it seems like I experienced the two most important things: I finally got an idea of the city's most famous pastries and I had a cupcake at the justifiably hyped Cuperella. 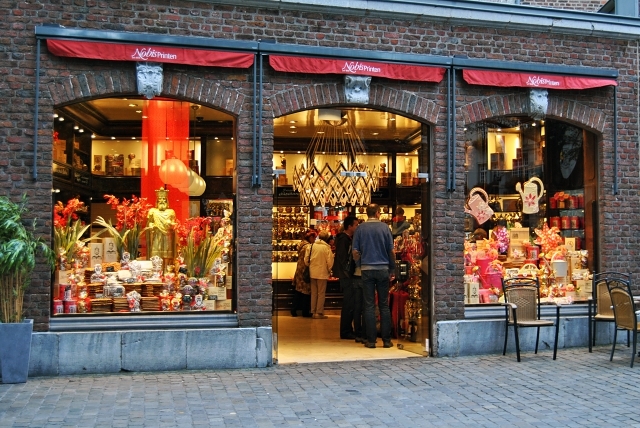 Aachens landmark biscuits, the so called Printen, can be purchased at every turn. Carla described them to me as some sort of intense gingerbread which is why I didn't try them. 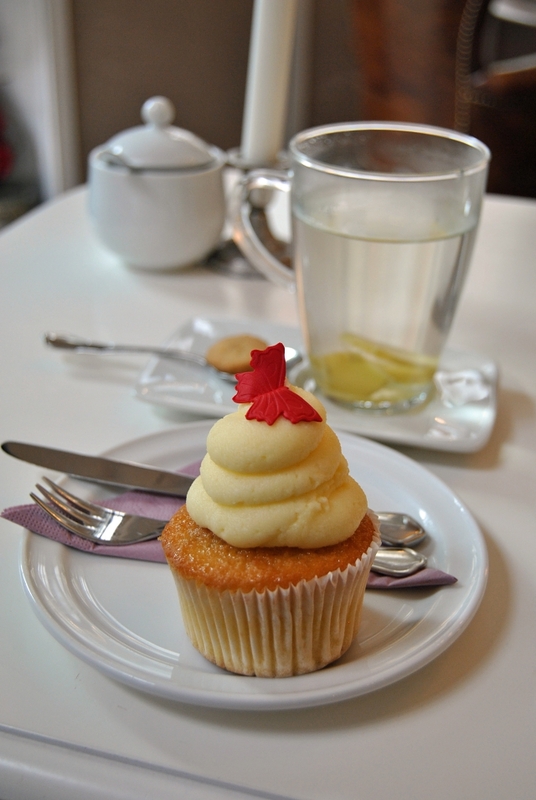 I did however try a cupcake at Cuperella, our last stop in Aachen. After a nice Caesar salad I had the "Sweet Dreams" which is a vanilla cupcake with a raspberry filling and a cream cheese frosting. Do you remember my post about Kathy's Cupcakery in which I praised the yummy frosting? Cuperella cupcakes are definitely able to keep up. 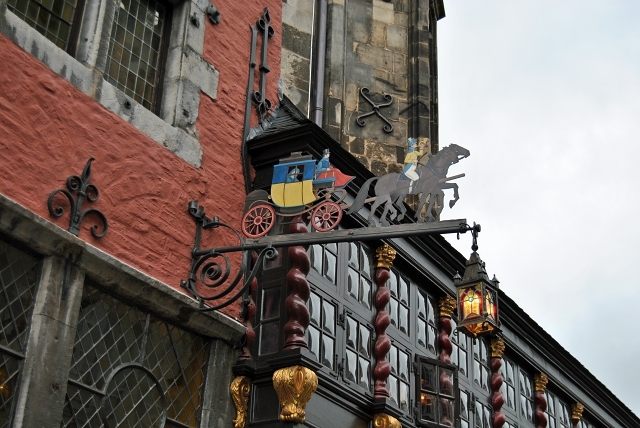 I will definitely try to go back to Aachen around Christmas time in order to see the legendary Christmas market and if you get the chance to visit this cute place anytime soon you should definitely take it. Toller Style und die Bilder sind wieder mal super schön. Vor allem das mit den süßen Schaufenster. Omg that cupcake. 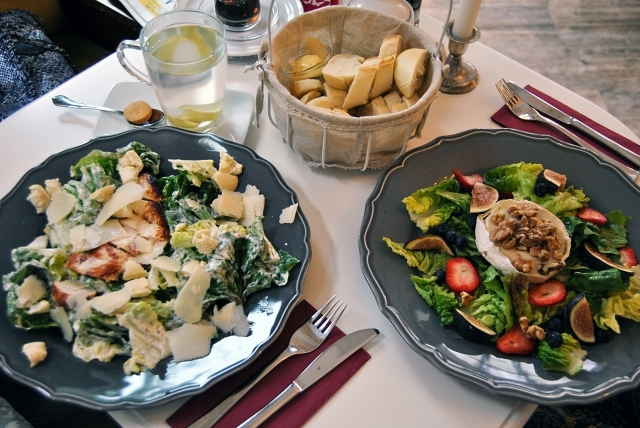 You need a knife + fork for that one! You look gorgeous in that blue! I love the print on the bag; it's amazing. The photos are beyond gorgeous! Beautiful outfit sweetie, I love your jacket and your bag is perfect. my grandparents actually live there, such a beautiful city! 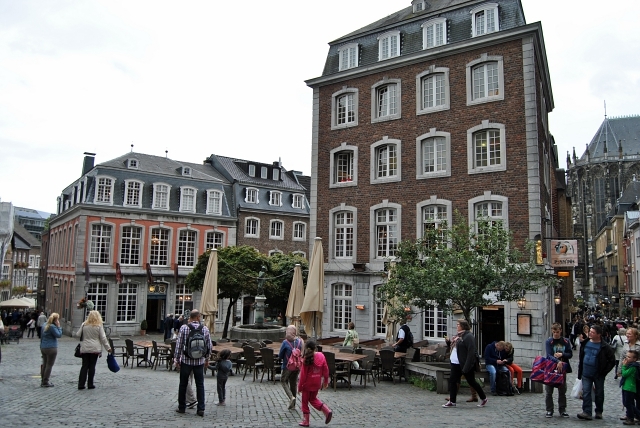 I have been to Aachen once as a child and it has been on my travel list for quite a while now. 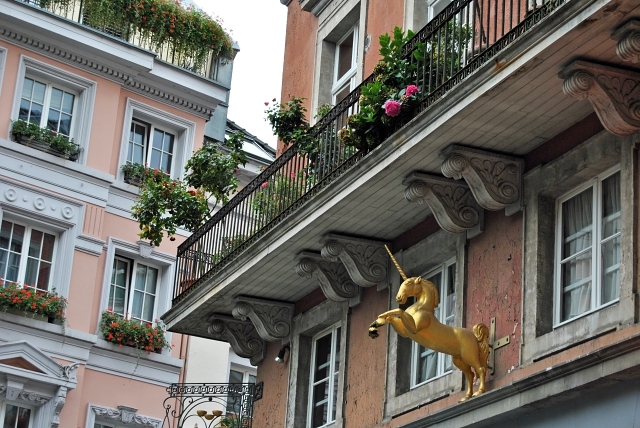 Thanks for sharing these great pics; now I really want to go there as soon as possible.